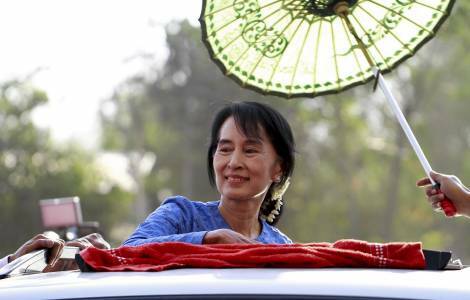 ASIA/MYANMAR - The Church: "After the elections, new hope for a future of unity in the nation"
Yangon (Agenzia Fides) - "We have high hopes. This opens a new era for our country, which we hope will be marked by unity. People are happy and it seems there are no risks of a military coup": is what Mgr. John Hsane Hgyi, Bishop of Pathein says to Agenzia Fides, following the democratic elections. Nobel Prize for Peace, Aung San Suu Kyi triumphed on November 8. The victory of the National League for Democracy (NLD) speak of a win between 60 and 70% of votes, although the final figures will only be available in a few days. The "Party of unity, solidarity and development", led by former president and former general Thein Sein, conceded defeat by saying he would cooperate for the future good of the nation.